Forget ghouls and ghosts and dress up as a cute “Kuroneko” for Halloween this year! Excitement for Halloween in Japan grows each year. Creepy things emerge for the annual event, like witches and zombies. But you wouldn’t guess that Kuroneko’s or “black cats” would be joining them this year! Sawako Yuri can help you turn into one of them. 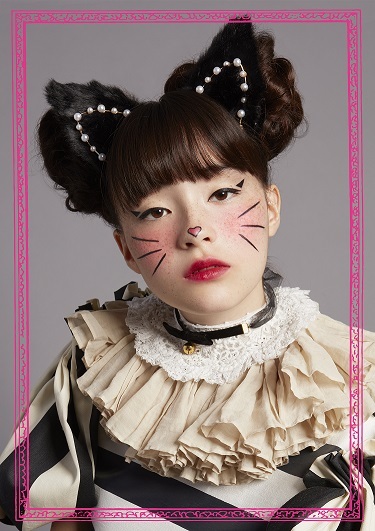 She is a senior hair & make-up artist at Shiseido – a unique and reputable company that aims to create a “KAWAII” world. Sawako has posted an easy hair & make-up tutorial that anyone can follow to become an absolutely adorable “Kuroneko”. Applying the cat line to your eyes will give an impressive playful look to them, and the whiskers and nose make-up will make you even more convincing. Red is the lipstick colour this year, so with that applied your look will be complete. You can neko-up your appearance even more and be the cat that stands out from the crowd with Halloween themed nail art or cat ears on top of a kitty-like hairstyle. Check out the photos at the link below and give it a go yourself! ■Related Article: Enjoy Halloween from your very own bedroom with these roomwear outfits from PEACH JOHN! ■Related Article: Kyary Pamyu Pamyu’s newest album “KPP BEST” released in a special, limited edition Halloween package!